There are a lot of subject matters you can explore in Mormonism, and unfortunately, blood atonement happens to be one of them. From the days of Joseph Smith, the inauguration of the Danites to Mountain Meadows the law of atonement weighed heavy on the minds of many in the Church. Congregants heard it preached from the pulpit and some even witnessed it firsthand. While the rhetoric in these ‘latter-days’ has toned itself down, the fact remains that blood atonement played its part in the history of Mormonism; regardless of how often or loud Church leaders deny it. I’m confident some of their threatening sermons were just threats to keep people in line, however, with that being said I’m equally confident the Church employed measures to keep control by publicly putting their threats into action. John D. Lee is a classic example. We’ve listed a few of their comments here. I wish we were in a situation favorable to our doing that which is justifiable before God, without any contaminating influence of Gentile amalgamation, laws, and traditions; that the people of God might lay the ax to the root of the tree, and every tree that bringeth not forth good fruit might be hewn down. Hebrews 12:14; “Follow peace with all men, and holiness, without which no man shall see the Lord”. Bruce McConkie’s response to Thomas McAffee’s enquiry about blood atonement in Mormon history; “There simply is no such thing among us as a doctrine of blood atonement that grants a remission of sins or confers any other benefit upon a person because his own blood is shed for sins. Let me say categorically and unequivocally that this doctrine can only operate in a day when there is no separation of Church and State and when the power to take life is vested in the ruling theocracy as was the case in the day of Moses. From the day of Joseph Smith to the present there has been no single instance of so-called blood atonement under any pretext. Anything I have written or anything said by anyone else must be understood in the light of the foregoing limitation. Brigham Young and the others were speaking of a theoretical principle that operated in ages past and not in either their or our day. 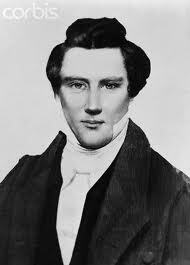 As I recall, Brigham Young’s illustrations were taken from the day of Moses and the history of ancient Israel and could not be applied today. 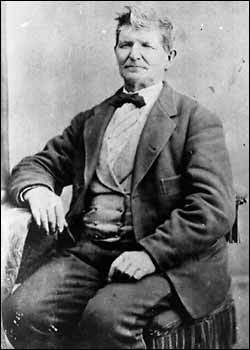 Temple Lot Case, p. 98; “[My life was in danger] if I remained there, because of my protest against the doctrine of Blood Atonement and other new doctrines that were brought into the Church.” – William Smith, brother of Joseph Smith, Jr.
1 John 1:7; “But if we walk in the light, as he is in the light, we have fellowship one with another, and the blood of Jesus Christ his Son cleanseth us from all sin”. Journal of Discourses 4:220; “I have known a great many men who have left this Church for whom there is no chance whatever for exaltation, but if their blood had been spilled, it would have been better for them. The wickedness and ignorance of the nations forbid this principle’s being in full force, but the time will come when the law of God will be in full force. This is loving our neighbour as ourselves; if he needs help, help him; and if he wants salvation and it is necessary to spill his blood on the earth in order that he may be saved, spill it. Any of you who understand the principles of eternity, if you have sinned a sin requiring the shedding of blood, except the sin unto death, would not be satisfied nor rest until your blood should be spilled, that you might gain that salvation you desire. That is the way to love mankind.” – Brigham Young, Salt Lake City, February 8, 1857. Journal of Discourses 5:236; “Our enemies had better count the cost; for if they continue the job, they will want to let it out to subcontractors, before they get half through with it. If they persist in sending troops here, I want the people in the west and in the east to understand that it will not be safe for them to cross the Plains. … I have been told that the first company of packers that went through here this season, on their way from California to the States, shot at every Indian they saw between Carson Valley and Box Elder; and what has been the result? Probably scores of persons have been killed; animals have been taken from nearly all the emigrants that have passed on that road; and the Indians in that region have now more stock than they know how to take care of; and they come into settlements with their pockets full of gold. The whites first commenced on the Indians; and now, if they do not quit such conduct, they must stop traveling through this country; for it is more than I can do to keep the Indians still under such outrageous treatment. First of all the passage in Hebrews should be taken literally. Secondly, the passages of Mormon teachings that have taught about blood atonement should also be taken literally because they were literally taking the lives of people for revenge or to fulfill the false prophecies of Joseph Smith and company. Encyclopedia of Mormonism, p 131; “The doctrines of the Church affirm that the Atonement wrought by the shedding of the blood of Jesus Christ, the Son of God, is efficacious for the sins…However, if a person thereafter commits a grievous sin such as the shedding of innocent blood, the Savior’s sacrifice alone will not absolve the person of the consequences of the sin. Only by voluntarily submitting to whatever penalty the Lord may require can that person benefit from the Atonement of Christ. 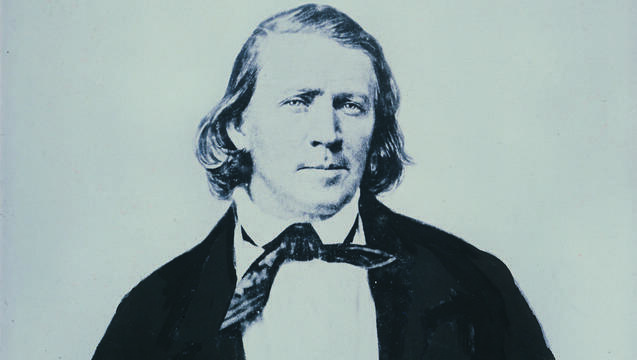 … Brigham Young, taught that in a complete theocracy the Lord could require the voluntary shedding of a murderer’s blood… Since such a theocracy has not been operative in modern times, the practical effect of the idea was its use as a rhetorical device to heighten the awareness of Latter-day Saints of the seriousness of murder and other major sins. This view is not a doctrine of the Church and has never been practiced by the Church at any time. Salt Lake Tribune, Nov. 5, 1994, p. D1, D5; “Just last month, attorneys for condemned child-killer James Edward Wood in Pocatello, Idaho, argued that his defense was undermined by a visit from local [Mormon] church leaders who talked to him about shedding his own blood…. A different witnessing tip for your Mormon friends and loved ones for every day of the year! 20% of verses in the Book of Mormon contain the phrase "and it came to pass"